Quebec, Canada – March 27, 2018 – Dr. Kathleen Allard-Wasajja was recently recognized in “The Next Big Thing” feature in Newsweek by the National Association of Experts, Writers, and Speakers®. Dr. Allard, along with other leading professionals from across the nation, appeared in a full-page spread that ran in the January 26, 2018 edition of Newsweek. She was selected to participate due to the influence that her organization, Vitality Leadership Group, is creating in her industry. Vitality Leadership Group is a personal and professional wellness development and training company specializing in helping midlife Generation X women and men overcome fears and obstacles to achieve important life goals. The National Association of Experts, Writers, and Speakers® was founded to honor entrepreneurs and professionals around the world for their contributions to education, enlightenment and the advancement of business. Newsweek is a premier news publication distributed to audiences across the United States. This distinguished outlet disseminates the latest information on, and analysis of, the world’s top stories in politics, technology, and business among many more topics. Dr. Allard’s appearance on this national platform allows her to spread her business knowledge and further solidify her reputation as a leader in the personal development and wellness industry. Dr. Kathleen Allard-Wasajja is a Personal and Professional Success Coach, Hypnotherapist, Speaker, and Best-Selling Author®. If there’s a life that you crave… Dr. Kathleen Allard’s passion is to help Generation X (born in the 1960’s, 1970’s and 1980’s) women and men create their ideal life with actionable strategies to transform their personal life, create a new career or business, and incorporate a healthier lifestyle. Founder of a personal and professional wellness development and training company, Vitality Leadership Group, Dr. Allard helps midlife women and men overcome goal-related fears and obstacles to achieve important life goals. She believes that there’s no better time, with the experience that you’ve gained so far in life, to learn how to move away from stress and fear. The quality of your life should be going up, not down. Dr. Allard’s focus is on giving value to her clients by teaching them to achieve high-level mindsets, as well as thinking and problem-solving skills. She believes that, in today’s economy investing more “in yourself” to create a stronger personal foundation can bring a greater ability to adapt to changes, and more freedom to move from where you are to where you want to be. Dr. Allard brings a unique approach to personal development through her signature programs, Achieve Method and Successful Life Strategies. She offers live transformational retreats, coaching, and online courses to design and support a customized plan for each of her clients. Dr. Allard has 15 years of experience as a Canadian physician (MD), practicing family medicine, has a background in emergency medicine, is a US board-certified Integrative Medicine Specialist (conventional and natural medicine), and holds a Bachelor’s degree in nursing. Dr. Allard’s studies in medical school earned her the Rhône-Poulenc Award of Excellence in neurology. 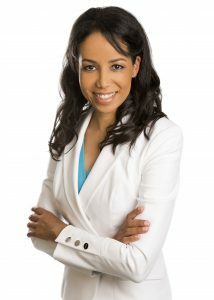 With the experience of having conducted thousands of pediatric and adult medical consultations, caring about the life stories and supporting the success of people from all walks of life, she believes in the power of thinking from multiple angles to find solutions that improve our circumstances. In addition to her medical training, Dr. Allard is a personal and professional success coach, US-certified hypnotherapist (National Guild of Hypnotists), and also a John Maxwell Team Member, providing transformational training to organizations with her program, Successful Leadership Strategies. Furthermore, she is a member of the National Association of Experts, Writers, and Speakers® in the US, who recognized her in the January 26, 2018 issue of Newsweek magazine in “The Next Big Thing” feature.. Dr. Allard was also selected to speak at the Success Live event in Orlando, FL in December of 2017. She is certified in radio and television broadcasting and is fluent in both French and English. Dr. Allard co-authored the Best-selling book, Success Starts Today, alongside Best-Selling Author® Jack Canfield. Furthermore, she received an Editor’s Choice Award for her contribution to the book. She is also working on a second title, The Big Question, which will be co-authored with legendary Radio and TV Personality Larry King. Her other media appearances will include a guest spot on the TV show Success Today, which will be airing on ABC, NBC, CBS, and Fox affiliates in the Spring of 2018, as well as a profile in USA Today and The Wall Street Journal in April and July of 2018, respectively. Dr. Allard also supports several charitable organizations. A dedicated athlete, she creates exercise plans for those whose injuries require adaptations. She enjoys reading, swimming, and sailing. For more information on how to bring your life to a higher quality level, contact Dr. Allard at: www.vitalityleadershipgroup.com.